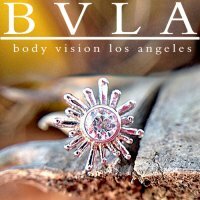 Manufactured by Body Vision Los Angeles, the Sun Ray 14kt Gold Threaded End features one 1.5mm gem. 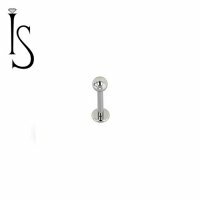 The Sun Ray Threaded End has a 4mm diameter and will fit 18 gauge, 16 gauge, 14 gauge, and 12 gauge internally threaded posts. 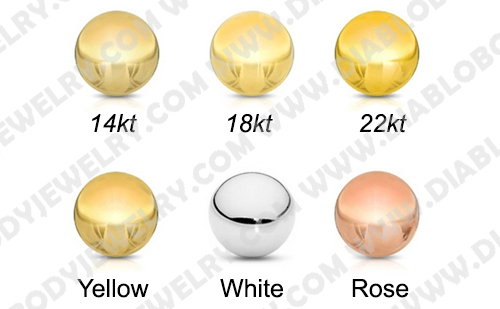 All BVLA jewelry is of the highest handmade quality and is made to order. Attention: All Gold is Custom Order Only. There are absolutely no returns accepted for Gold Orders. Be sure you know what you want before ordering. 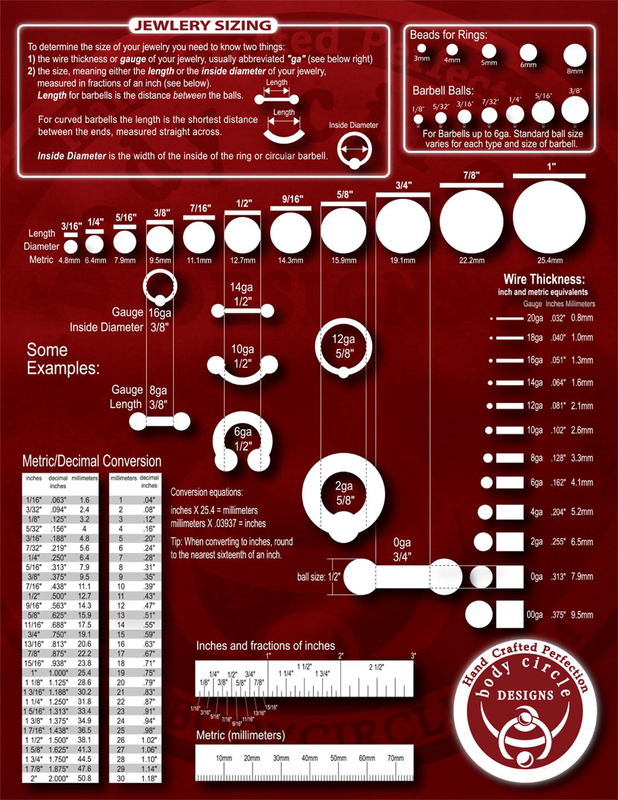 If you are unsure of what size or style you need, please consult with a local piercer.